Dr Suzie Starfish turns TWO! 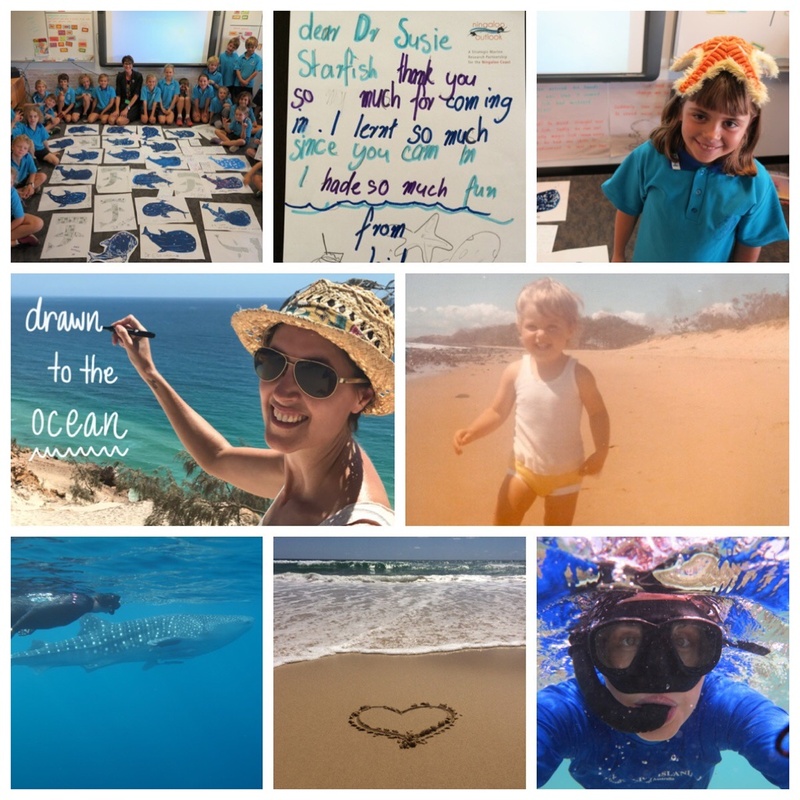 Two years ago today I created my creative business “Picture your ideas” with Dr Sue Pillans and my alter ego Dr Suzie Starfish – to share my marine art-science storytelling through imagination, inspiration, information and illustration. And what an adventure it has been drawing out ocean ideas and issues with so many different people and organisations both here in Australia and throughout the South-East Asia region. The aim of my visual storytelling, through sciart and scicomm, is to share the wonders of our underwater world with ocean optimism; as I believe if you understand and love something you are more likely to protect and save it. I’m going to make a splash this year with some new and exciting creative collaborations, writing and illustrating my kids picture books and plans to create new classroom content to help make learning visual (by putting the ‘A’ in STEAM = Science, Technology, Engineering, ARTS, Mathematics). And I just can’t wait!! A BIG thank you to my family, friends and all of my supporters, here on our Blue Planet and in cyber space, who believe in my visual storytelling and my dreams. I followed my heART two years ago and have turned something I love into something I live and I’m so grateful for the people in my life and the great opportunities that come my way. So dive in with Dr Suzie Starfish on Facebook (https://www.facebook.com/drsuziestarfish/) and learn about the wonders of our underwater world through illustration and information and let’s “Picture your ideas“! You can also follow my creative marine adventures @suepillans on Twitter and Instagram. ← Picture your goals for 2017!